Promotional Products provide the most cost effective form of advertising when compared to TV, Advertising, Radio or Print. According to ASI, the Advertising Specialty Institute, 84% of users remember the advertisers on the items they receive. No other medium alike can create the name or brand recognition associated with Promotional Products. People remember the re-useable bag the clothing store gave them, the hand sanitizer from the vet, the notepad they received from a realtor or the pen they use to write checks from the tax accountant. 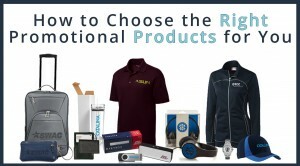 Every time an individual has a need for one of these products, it reinforces YOUR brand. Please feel free to contact Superior Promos and let us assist you with which Promotional Products would be most beneficial to your company needs. Follow us on Facebook, Twitter, Google + for special promotions only found through these platforms. Office supplies. We all need them. In particular, pens are one of the most unappreciated office supplies out there. Try to get through your day without using a pen. Right, not possible. So, if we are forced to buy pens, why not purchase promotional pens? Custom pens are almost as cheap as regular pens. Superiorpromos.com can provide you with 250 promotional pens for only $67.00 ($.21 per custom pen) So logon to buy 250 personalized pens and get your message out there today.